What is a D10E composed of? Hi!, I have recently found a D10E acoustic/electric Washburn guitar that cost 180 â‚¬. I canÂ´t find information about the original price of this guitar neither what about any reviews. Could anybody help me to know them? I paid between CDN $400 and $450 for my new D10SCE about 7 years ago, HSC included. Not sure if it's comparable to what you're looking at. Great guitar. Plays like an electric in terms of action. Generally, the D10 series has been tremendously successful - billed as "best acoustic under $500". Thank you so much, I've also seen the price of a D10SCE, but the one second-handed that I'm about to buy is a D10E, maybe a little bit old and not sold nowadays, i was wondering if anyone could tell me more about this guitar. 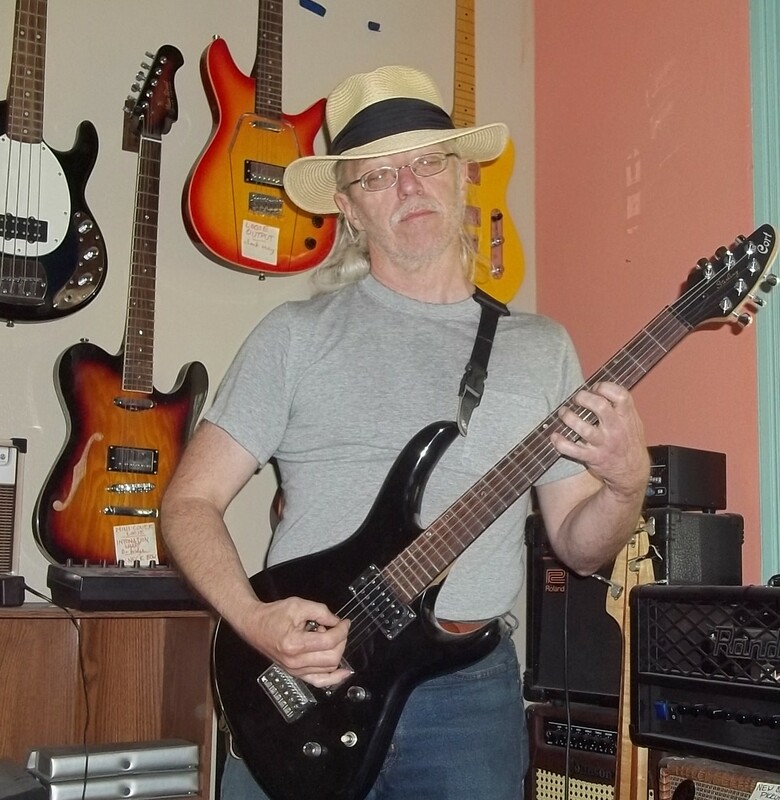 Well, from the model number I can tell you that the guitar is a dreadnought size (that's a large acoustic 6-string guitar) that is all laminate construction, and can be plugged into a PA system or an amplifier. Being all laminate is a good/bad deal issue....an all laminate guitar sounds as good the day you take it out of the factory shipping container as it ever will. In exchange for that "failure" to develop tone (a process called "breaking in" or "ageing in"), you get a guitar that is very "sturdy"...solid wood pieces can crack quite easily, requiring sometimes expensive repairs, but a laminate guitar is made up of layers of veneers, much like plywood, so by virtue of being a laminated construction the pieces are more rigid (that's both good and bad) and also more durable (read: not so easy to damage by accident). Being a Dreadnought model, it will be 14 frets-free to the body of the guitar and fairly deep...keep in mind that the dreadnought guitar was developed in the latter days of the acoustic orchestras (before Les Paul electrified the acoustic guitar) so the guitars of the days (mainly "parlor guitars") were not audible over the orchestra. The development of the Dreadnought design was intended to give the acoustic guitars enough volume to be heard...and to this day you will almost NEVER see any guitar other than a dreadnought if the musical genre is bluegrass...a guitar has to be LOUD to be heard over the banjo (EVERYBODY loves to hate the banjo player!!). An all lam guitar is a great campfire guitar...if somebody knocks it over at the campsite, no problem, unless they knocked it over into the campfire...somebody drops a beer on the soundboard, you're OK, no worries about a cracked soundboard. What an all-lam guitar is NOT good about is "improving" with age. As the wood cells of the guitar age they become much "emptier", and therefore they are more likely to "resonate" (we call it "ringing") and as the ageing process proceeds the tendency to resonate increases, resulting in a guitar with greater sound volume and complexity over time. That won't happen with a laminate construction...like I said, the sound can only deteriorate over time (due to damages, that sort of thing), it won't "age in" like one with a solid wood soundboard. Most of the D10 series was spruce over mahogany...or, as Washburn uses, a variety of mahogany called sapele. Yours should be, too. Our historians can tell you when the guitar was made (and quite possible where it was made) if you'll post the serial number. It will be either on the label inside the soundhole or on the block of wood inside the body where the neck attaches. The D10 series is not going to be valuable as an antique, it's not that old. You DO have what I would think would be a decent gigging guitar...most of the sound from the guitars we play that are "juiced" (have an onboard pre-amplifier so they can be played through an amplifier or a PA system) display a sound quality that is dependent on the nature of the pickup installed. Hope this has been enough to get you started. First of all I am very grateful to you, that information is gold. Now I understand what is this guitar. The serial number is G01073055. DonÂ´t know if the letter is whether on the serial number or not, but thatÂ´s all I got. If you could tell me what was it original price that would be all, I havenÂ´t got any more doubts about this guitar. Final MSRP (2000) was $420 USD. Now worth roughly $250 in excellent condition.